A Boston-based editor and photojournalist, I have been on the staff of The Pilot, America’s oldest Catholic newspaper, since 2001. 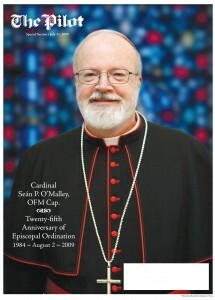 My work been recognized several times by the Catholic Press Association of the United States and Canada and has appeared in numerous national and regional publications including: St. Anthony Messenger Magazine, The National Catholic Register, Our Sunday Visitor, The National Catholic Reporter, US Catholic, Columbia Magazine and CatholicTV Monthly as well as dozens of diocesan newspapers throughout the country. My images from the 2013 resignation of Pope Benedict XVI and conclave to select his successor were carried by media outlets throughout the U.S. and the world. Click here to see recent photo galleries and audio slide shows produced for The Pilot. In addition to accepting freelance photojournalism assignments, I am available to photograph weddings (Click to see a sample wedding gallery) as well as private, school and church events. Contact me for details.